Users of the Krome workstations can now download a library featuring sounds of the legendary M1 keyboard for free. The M1 for Krome soundbank features 100 programs, 100 combis and 10 demo sequences with sounds from the M1 workstation. You can download the library for free from www.korg.com/krome (click on Support and Download on the left of the page then on Soundware). 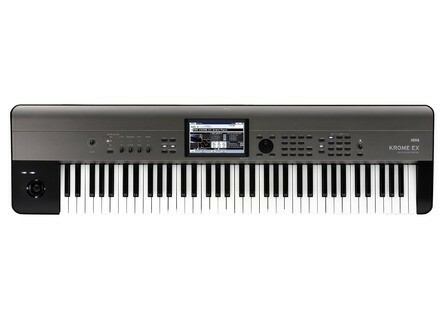 Korg introduces the Pa900 arranger keyboard Korg will launch in september a new version of its Pa Series arranger keyboards, the Pa900. Korg Mono/Poly now in Rack Extension format Fans of the Korg Mono/Poly sound who own Reason 6.5 or 7 can now enjoy the virtual version of the synth. [Musikmesse] Korg LP380 digital piano Along with its new analog synths, Korg introduces at Musikmesse the LP380 digital piano, available in two black and white finishes.